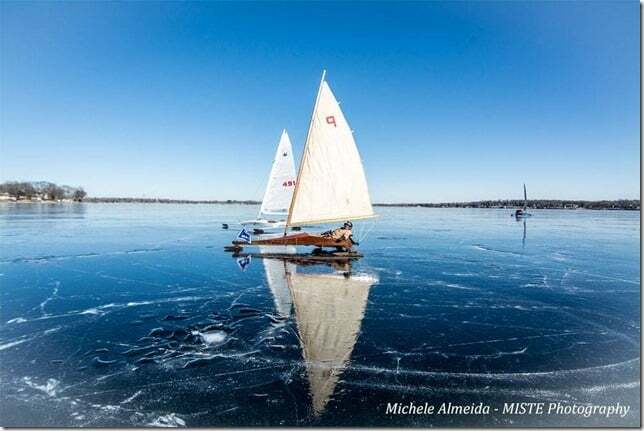 Here is a photo of Chris Goes sailing January 12, 2018, on Delavan Lake in the Beau Skeeter “Pike”. 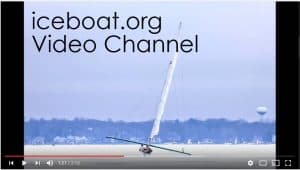 This boat has been owned and given loving care by the Goes family since 1935. With Harry Melges, Sr. at the helm, “Pike” won the Northwest in 1935, the first year that Class E Skeeters raced in the regatta as a separate fleet. This is what the boats looked like when the Beau Skeeter Ice Boat Club (now the Skeeter Ice Boat Club) was organized in 1933. 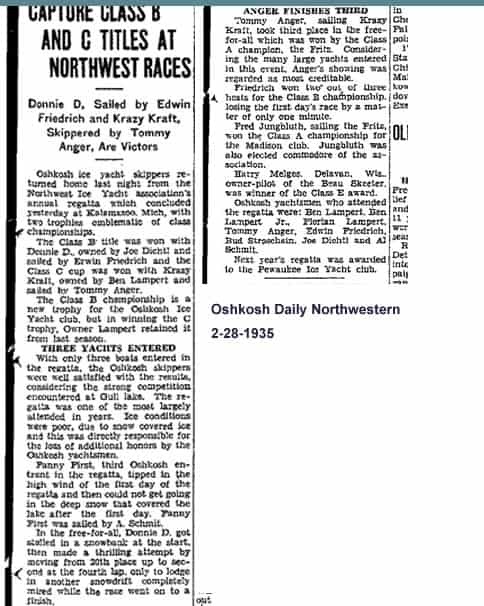 Jane’s information puts the Skeeters in the Northwest one year earlier than records had indicated, a date confirmed by this Oshkosh Northwestern newspaper article from 2-28-1935. 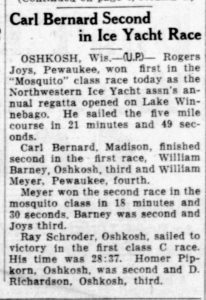 That’s not the end of the story because it appears the Skeeters first sailed the Northwest in 1933 at Oshkosh but that regatta was cancelled for reasons likely related to weather. 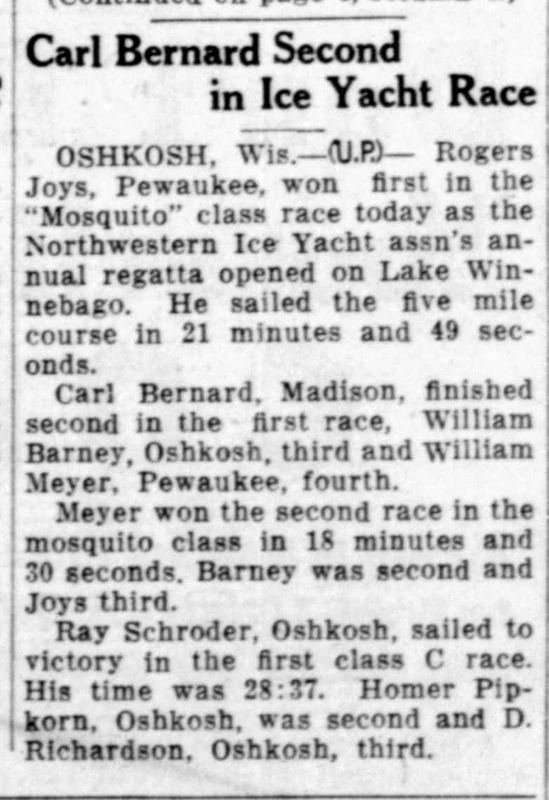 The Northwest regatta officials must have embraced the new Skeeter class the same year it was organized at Lake Geneva. Wisconsin State Journal, Feb 23, 1933. The “mosquito class” is now known as the Skeeter class.